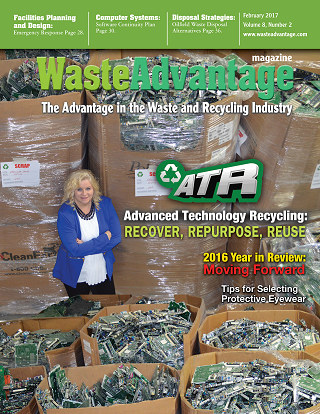 ATR specializes in ITAD recycling and asset management solutions and we offer the industries most comprehensive service portfolio. Advanced Technology Recycling (ATR) was formed in 1992 to meet the growing need of B2B customers seeking transparent and reliable ITAD Recycling solutions. Our parent company B & K Technology Solutions was originally formed in 1992 as a traditional Value Added Re-seller (VAR) of technology products. ATR’s senior management team has been providing Information Technology Asset Disposition (ITAD) sales and service since 1992. Over the past 25 years we have grown into the worlds 3rd largest electronics recycling company based on most R2 certified facilities and we hold 1 Guinness World record with 2 more pending. ATR understands the IT industries challenges with sustainable ITAD recycling that mitigate risk factors and return valuable revenue to your company’s triple bottom line. Our proprietary database known as “Betty” allows staff to create an individual SOW for each customer. The web portal currently manages millions of asset and users can perform scheduling tasks, access reports in real-time and download compliance docs 24/7. The platform can scale to meet the needs of even the most demanding customers and is actively being used by a growing list of Fortune 100 and 500 companies throughout the US. Remote Shredding Capabilities with Portable Hard Drive shredders that can be leased to IT departments. Certified Woman Owned Enterprise that is still family owned and operated to this day. ITAR (International Traffic and Arms Regulations) Registered and R2 Certified Weapons and Defense Articles accepted. White Glove extractions, Removal, Relocation and Reconciliation Services available upon request. Transparent Profit Sharing and Employee Buy Back Programs for qualifying customers and special projects. Optional Virtual Reality or 360 Degree Videos are now available in MP4 formats & work with most smart phones. Real time Reporting and Asset Reports at no additional charge keep you up to date and complaint. Chat Live with our Customer Service Team during regular business hours free of charge. If you would like more information on our ITAD Recycling services use the contact form below or chat with us now and they’ll redirect you to a local Business Development Manger that can assist you further. Time to Rethink Electronic Recycling…ThinkATR!